Overall this is a good GPS watch for runners of all levels. At $349 it may be a little pricey for some but given the range of features, it’s a worthwhile buy. TomTom has quickly moved into the GPS fitness watch market and looks set to give the leading supplier, Garmin, a real run (pun intended) for its money. 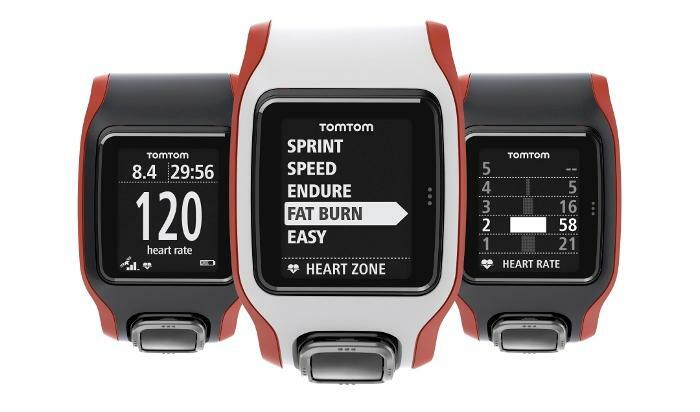 The TomTom Runner Cardio ($349) and TomTom Multi-Sport Cardio ($399) are the latest models in TomTom’s GPS watch range, and we looked at the TomTom Runner Cardio GPS watch for this review. It’s a slick-looking watch with a useful, single button that can be used to easily navigate its menu before you start running. If you’re an avid runner, the first thing you will notice about the TomTom Runner Cardio GPS watch is the built-in heart rate monitor. Gone are the days of battling with sweaty, uncomfortable chest straps for those of you who want to monitor your heart rate. A Mio optical sensor underneath the watch face monitors changes in blood flow, and therefore heart rate, by shining a green light through your skin. You can select one of five intensity zones to match your training goals and receive alerts when you need to speed up or slow down. We tested the watch on several road and trail runs from 5km to 32km. It performed well on every run, maintaining the GPS signal and accurately measuring average pace, distance and all other metrics. Not surprisingly, the watch tends to find the GPS signal quicker outside the city, in areas where the signal is not affected by large buildings and mobile networks. Like the previous TomTom models, operation is fairly straight-forward. Push the button to the left to view the watch status, which includes the amount of available storage, the battery level, and the tick that indicates whether the GPS is operating. Push down to set the clock, view your profile (height, weight, gender and language), change options, and active the heart rate monitor. Push the button to the right for three options: run, treadmill, and stopwatch. When you select the run option, the watch will automatically search for GPS satellites. When they are found, it will vibrate and indicate ‘Go.’ A simple click to the right and you are ready to start running. The watch has a large screen that's easy to read, which is helpful for monitoring distance, average pace, time, calories and heart rate during runs. The position of these metrics on the display screen can be changed by pressing the button up or down. There are several other useful features for runners who are training to run faster and further — and that’s pretty much all of us. Numerous ‘training’ modes can be selected by pushing to the right from the clock screen, selecting the ‘run’ option and pushing down. ‘Goals’ mode allows you to set a distance, calorie or time goal, and to view your progress during a run. The ‘Zones’ mode lets you target a minimum and maximum pace to make sure you are running at the right level. A graphical training partner in this mode allows you to set a target zone for the heart rate you would like to maintain. The watch alerts you if your performance falls outside the target zone. You can track your pace in ‘Laps’ mode. At the end of each lap, the watch will ‘buzz’ and provide you with a summary screen showing the average lap pace. Finally, the ‘Race’ mode shows real-time performance in comparison to a race you've selected. It shows you how far ahead or behind you are, and how much distance remains until the finish line. The watch face pops out of the rubber wristband and is placed in a cradle and connected to a PC for charging and uploading data to the TomTom MySports Connect Web site. While our watch was set up for a reviewer (that is, we couldn't log-in to it using our own TomTom account, but one already set up for us by TomTom), TomTom assures us that you will be able to access your historical data if you already have a TomTom account using previous TomTom devices (such as the TomTom Multi-Sport GPS that we reviewed last September). Nevertheless, the MySports Connect Web site has a great dashboard with a map and graphs that illustrate your average speed, elevation and heart rate at different points during each run. This dashboard, as well as the good overall performance and ease of use of the watch itself, make the TomTom Runner Cardio a good GPS watch for runners of all levels. At $349 it may be a little pricey for some, but given the range of features, it’s a worthwhile buy. Update (3 March 2015): Unfortunately, the rubber wristband has started to fray after around six months of use. This is particularly noticeable where the watch face pops out of the band. Replacement straps are available for around $40 to $50 but the wristband should really last longer than it has.